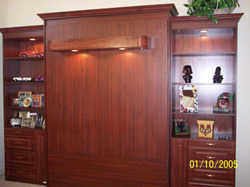 Ever wondered what a Murphy bed looks like? 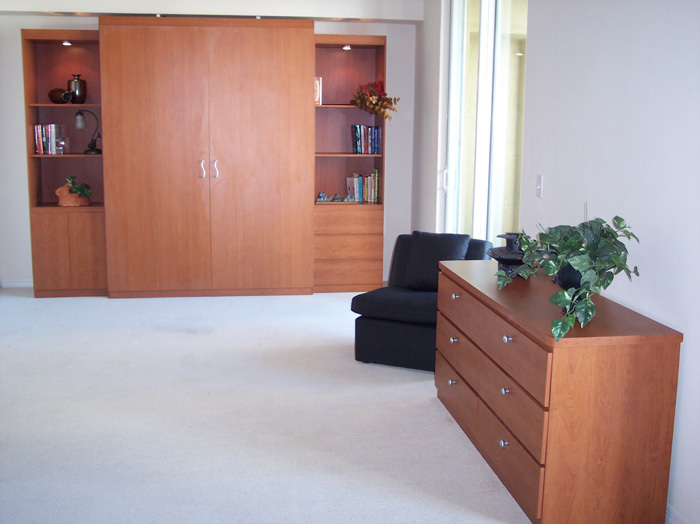 These are just a few of the Murphy beds we install. 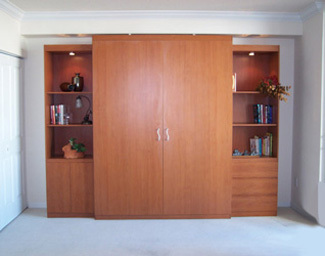 It's always a mystery as to what a Murphy bed looks like. Well there you have it, no magic tricks, no rabbits coming out of a hat. Just materials and knowledge of how to install a Murphy bed. Now if by any chance you took down your Murphy bed and dont know how to put it back, We do not suggest that you go back and try to install it on your own. Even though it looks easy it's very dangerous. If your not a trained professional to handle it properly. 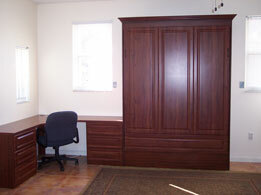 Now if you just bought a Murphy bed and cant find and installer, dont worry give us a call. Here's how it works... You call "us" and we install your Murphy bed. It's that simple. F.A.Q | Email | ©Murphy Bed Services Inc.